Wishing all our residents a safe and #HappyHalloween! 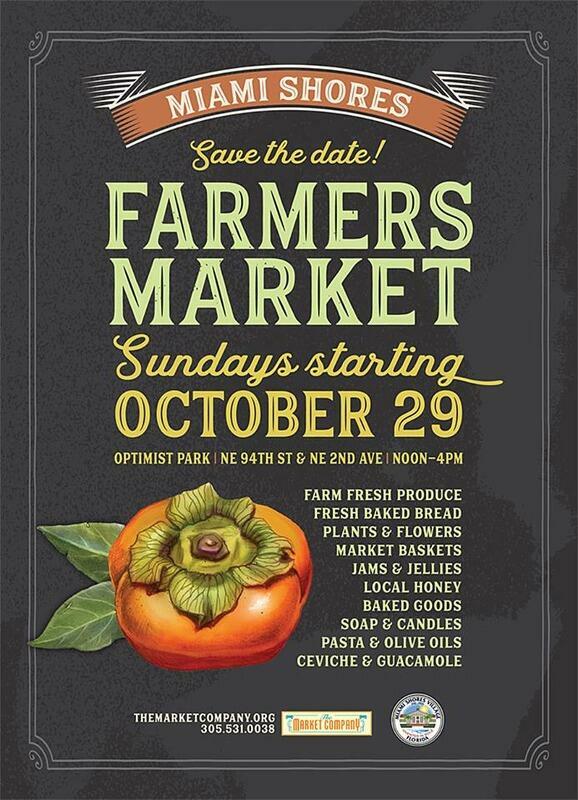 #MSV hosts the #MiamiShoresFarmersMarket today! The Miami Shores Farmers Market begins today! Come out and shop for fresh produce, fresh baked breads and baked goods, plants and flowers, market baskets, jams and jellies, local honey and more! A cold front will push through South Florida right behind the system after daybreak Sunday. #TropicalStormPhilippe has formed as of the 5 PM advisory from the US National Weather Service Miami Florida. Although our area is not in the direct path of the storm, we will experience stronger winds and heavy rains as the storm approaches this evening and through the night. The storm is expected to pass by Sunday morning. If you must go out, please use caution especially if you encounter a flooded area. Do NOT attempt to drive through floodwater as it may be deeper than it appears. Do NOT enter floodwater. Standing water may be contaminated. Clean skin or property with soap and hot water if you come in contact with floodwater. The Village is monitoring the conditions in the low lying areas and will take actions necessary to help mitigate possible flooding.